Established in 1998, the Alpari group of companies are among the fastest growing online brokers in the world, and are one of the market leaders in providing trading services via the popular Metatrader 4 platform. The group has more than 50 offices in over 20 countries, in locations such as London, New York, Shanghai, Dubai, Moscow, Frankfurt, Mumbai, and Tokyo, employing more than 630 people. Their monthly trading volume is over $210bn(US). 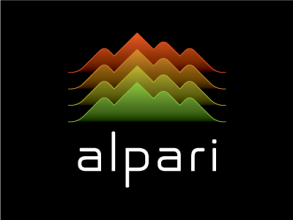 Alpari pride themselves on their transparency, the safety of client funds, a high level of customer service, and the range of advanced features that they offer. They were one of the first brokers to offer a fully integrated MT4 service, and over the years they have developed a range of proprietary enhancements. At present, they allow their customers to trade forex, CFDs, and commodities using a variety of platforms, as well as offering financial spread betting. Unlike many brokers, Alpari place no restrictions on trades, which makes them ideally suited to traders using algorithmic trading strategies. Execution of trades is fast and accurate, with no re-quotes, and they strictly adhere to the best execution principles laid out by the MiFID regulation. 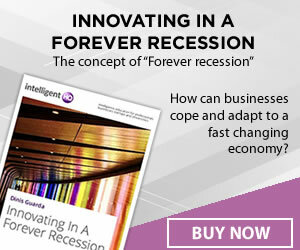 They offer a free, automated risk management service, which prevents clients from losing money that they do not have. Also, all client funds are held in a segregated accounts at top-tier, well known banks, which ensures that even if Alpari were to go under, none of their customers would lose any money. Alpari offer three types of forex trading account: Micro, Classic, and Pro, to suit traders of different budgets. The Micro trading account is the entry-level option for MT4 users, with a minimum opening deposit of $200 and a maximum leverage of 1:500. Micro account spreads start at 1.6 pips, and the minimum trade size is set at 1% of a lot. The maximum trade size for this account is 2 lots, so if you want to trade more than this, you will have to step up to the Classic account, which is essentially similar, but has no maximum trade size. The Classic account also allows users to use the Systematic trading platform instead of MT4 if they so wish, and offers CFD as well as forex and commodities trading. The minimum opening balance for a Classic account is $500, and the minimum trade size is 10% of a lot. As the name suggests, Alpari’s Pro account is for serious, high volume traders, whether they be institutional investors or private individuals, and has much higher capitalisation requirements. The maximum leverage on a Pro account in 100:1, and unlike the Micro and Classic accounts, trades are based on the Straight Through Processing model, which allows traders to access a range of prices from different liquidity providers, with no dealing desk intervention. This means greater competition on prices, and spreads from as low as 0%, although a commission has to be paid on all trades. While Alpari are not the biggest name in forex trading, they certainly have one of the best reputations in the business, especially among MT4 traders. Over the years, they have won a number of awards, including the Shares magazine award for best Forex broker three years running.